If you work from your computer, or from your devices, or even if you’re just on them a lot, then you should remind yourself of just how valuable your time is. For every minute you wait for that pesky color wheel or hour-glass, you could be out enjoying the world! For years I was using my devices with their stock parts, but lately I’ve started to notice that I’m waiting around a lot for load times, connection and battery charging. As a digital nomad, time on the computer is money, so I finally started to make some relatively inexpensive investments into my electronics to speed up my work efficiency considerably. 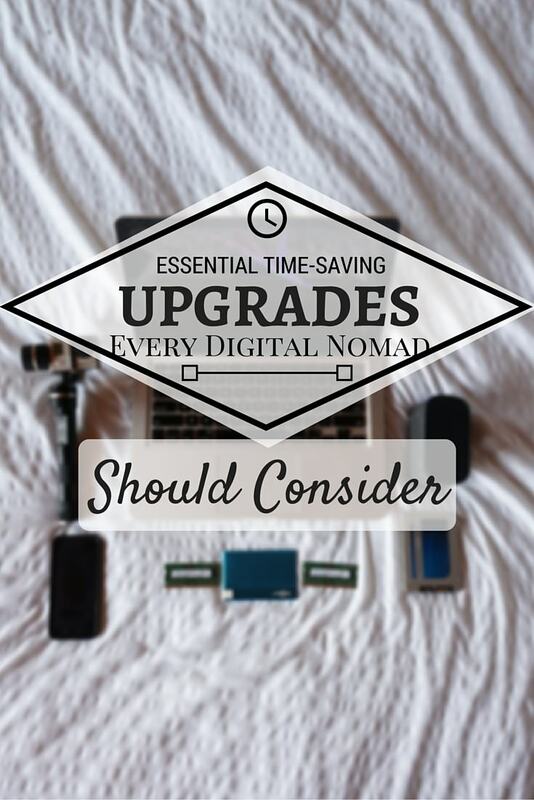 If you’re ever using programs like Final Cut, Photo Shop or any other app that takes a considerable amount of CPU to run, or if you’re online often, then you should definitely consider these inexpensive upgrades (even if you’re not a digital nomad). Here are some essential electronic upgrades that can save you an insane amount of time! If you’re ever waiting for load time on your computer, then this should be your first upgrade and you should do it now. Think of every time you wait a minute for a page to load or an app to open. Add those minutes up and in the course of a year, you’re probably wasting days. RAM can help! I was using my Macbook Pro Late 2011 model with its stock 4GB of RAM since I bought it in 2012. It was pretty fast, but as soon as I had multiple applications open it would bog down. If I tried to open big, RAM sucking apps like Final Cut and After Effects together… forget about it. The computer would grind to a halt. I upgraded to 16GB of RAM (4X the capacity) and today my computer opens apps at around 6 times the speed. The installation was super easy. I just followed this video and was done in about 10 minutes. I used to open Final Cut and watch the little app icon bounce on my dock for 2 minutes and 21 seconds before it would finally open. It now opens in 26 seconds! 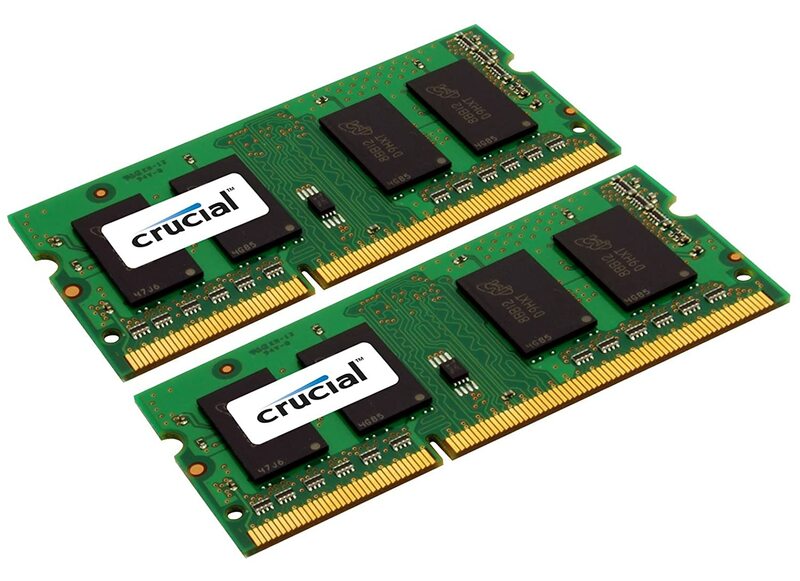 You can pick up 16GB of RAM on Amazon for just over $100! Click Here to search for the right RAM for you on Amazon. We’ve all been in hotels where the wi-fi doesn’t reach the room. We have to head out to the common area or just hang around the front desk so we can send emails, work on social media or upload an article. This problem can be remedied with the D-Link Wireless N 300 Mbps Compact Wi-Fi Range Extender which can be bought on Amazon for just $39.99. This compact little contraption can get rid of dead spots and give you full bars in places where you’d otherwise have no signal at all. When I researched this product, I was amazed that as a digital nomad, I had never heard about it at all. For a smaller, more travel friendly version you can try the TP-LINK TL-WN823N 300Mbps Wireless Mini USB Adapter for just $15. 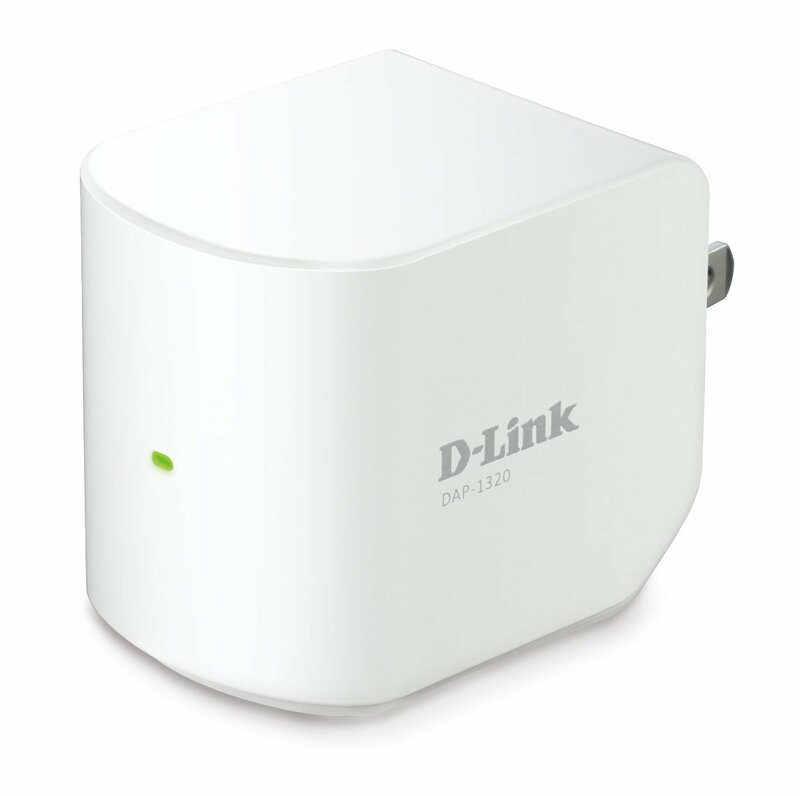 It may not get the range that the D-Link does, but it’ll still help. Or you could be like us and just order both! If you’ve been looking into buying a new laptop or computer, you’ll see that almost all of them are coming with SSD (Solid State Drive) hard drives these days. The problem is that these super fast, über-efficient hard drives are very expensive for a small amount of storage. But there’s a way to add a new SSD to your laptop without getting rid of the traditional spinning drive that’s already in it, and you’ll see BLAZING speed increases that will save you a ton of time. For Mac users, pick up a 256GB Corsair SSD Drive on Amazon for just over $100 and then a $9 Optical Drive Caddy. You’ll have to open up your Macbook again but it’s easy if you follow this video. Should have it done in about 20 minutes and this is probably the biggest speed increase that you can do to your laptop. Because you’re installing the SSD in the Optical Drive bay, you can keep your original hard drive and all of its space for larger files like photos and video, while using the SSD for your OS and Applications. If you have a PC, just Google the right SSD size for your computer and find the appropriate video on YouTube to walk you through the process. It’s generally a very easy upgrade to do at home. Sometimes when you’re travelling, you don’t have wi-fi but you need to post something. Not all of us have an iPhone or Android device (though that will probably be our next upgrade) so if you’re like us, then a USB Wireless Stick or Wireless 3G Router may be the answer. Just make sure that whatever one you go with is “Unlocked” so that you can use it with any 3G provider in any country around the world. We bought one in Mexico recently that was locked to Telcel so it’s pretty much useless now that we’ve left the country. This little thing has come in very handy from time-to-time. There are days when we’re heading out the door to a place that we’d like to report on via social media and then we realize that our iPod is going to die in about 2 minutes. This little credit card sized gadget can charge almost any device on the go, and it barely takes up any space. The only downside is that you to remember to always charge the Travel Card in order to charge your devices, but hey… it gives you one extra chance of having some juice in your iPhone when you’re out and about. Definitely worth the $30 it costs! Click here to buy it from their website. When I started doing research on how I could improve my efficiency as a digital nomad, I was blown away by how “behind the times” I truly was. These simple and inexpensive upgrades have really improved our productivity levels and helped us to take our online business to the next level. Even if you don’t work from your computer, if you spend any time waiting for load times, searching for a wi-fi signal or charging your devices, these 5 awesome gadgets and hardware, which total just over $350, may just give you more time away from your computer and exploring the world that you love! I know it’s helped us immensely. Have you found some great electronic devices, gadgets or upgrades that have helped your productivity or your quality of life in general? Please share with us in the comments below! Thanks for the tips guys, I too hadn’t heard of the range extender, I will definitely be adding one of those to the travel kit. My one tip I would like to offer is when travelling always pack a powerboard, that way you can plug in multiple devices and only need the one powerplug adapter. Brilliant! Thanks for sharing! I am seriously thinking about buying that range extender, too. It’s so hard to keep updated on gadgets these days! Great timing – the lack of decent wifi wherever we go in Indonesia is really frustrating so the range extender is a no brainer for me – and I’lll be buying the 3G router too while I’m at it. Thanks for the tips guys! Fantastic article. I have added the RAM to my 2010 Macbook pro. Yes it’s 5 years old! Still going. 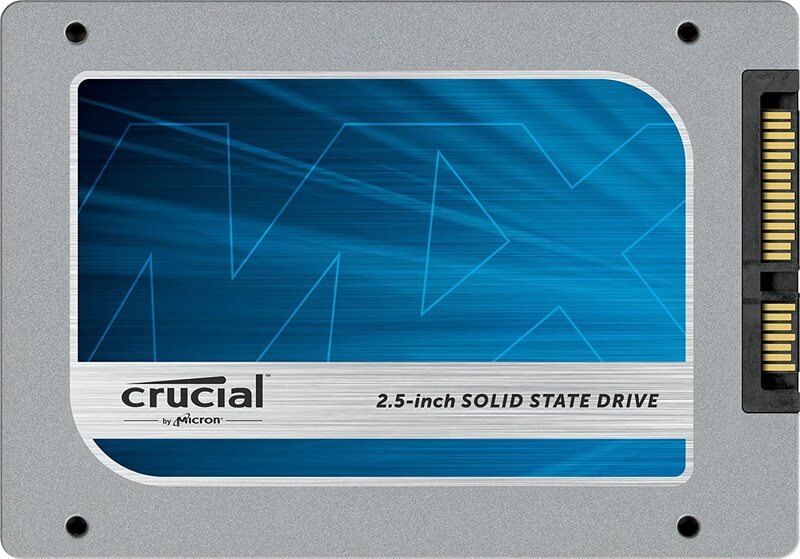 I’d like to buy a new model but now I’m wondering about adding that new drive. Is it possible to add that to my model? That is so freakin’ cool. I’ve tried those chargers for your phone – not that particular model. I think it’s worth investing in a good one – the one I have is a cheapy and didn’t last long. I’m not totally sure how the 3G router works? That’s portable? That’s awesome that you have one of the “old school” Macs! Nick’s is a late 2012 model. Different MacBooks require different SSDs, so definitely check out Crucial’s website to see if your model will work with it. The charge card is sweet! We really like it and bring it out with us all the time. Ya, the 3G router is portable!! Fab this – thanks so much guys. My Christmas list has just grown substantially ;). Great tips as always. I am inspired! I posted on your Chinese teaching forum and now can’t stop reading your entire blog, you are living my dream! I think everyone should live like you do, free and feeling alive every day. My happiest days were when I was on the road with my back pack, I wish I have never come back to the UK but I had a plan to be free of UK living by now, well 2012 was the year but of course like all great plans.. now I am seriously running out of time and feeling desperado! The teaching idea sounds good but my ideal is to do as you guys are doing, utilising my love for writing and travel. I am just not tech savvy and I have no clue how to get companies to list their sites on my blog and without pay per click no income. How did you do it? Again, any advice greatly appreciated. P.S I can suggest the most beautiful beaches I ever saw worth a visit. Cayo Sombrero, Morrocoy National Park, Pantenemo and Choroni ( Henri Pittier National Park, all in Venezuela, all astoundingly beautiful and off the beaten tourist track, well they were when I last visited in 2002 – Too long ago! 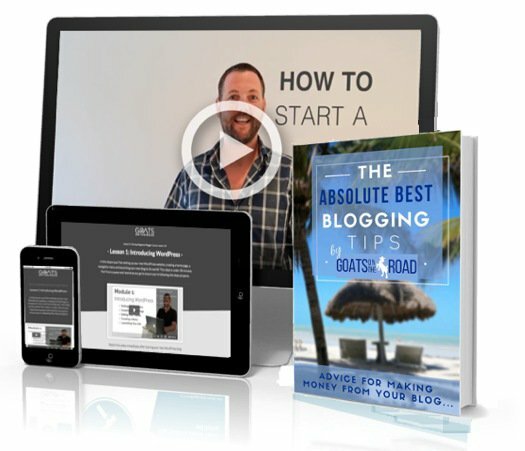 It sounds like you need to get back out there on the road where you belong 🙂 There is a lot to travel blogging, and we don’t get paid per click or anything like that. 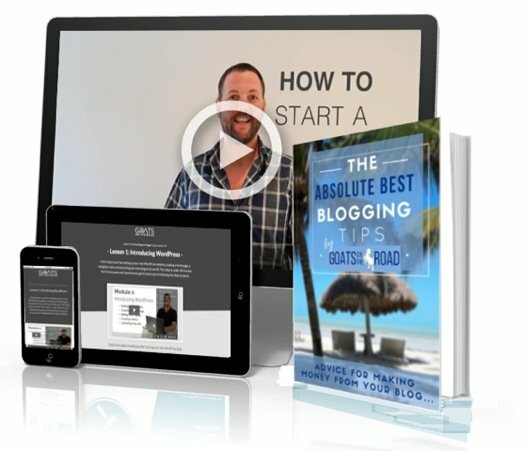 you can check out articles about travel blogging here: https://www.goatsontheroad.com/category/travel-blogging/ I hope this helps. Thanks for sharing the beaches! Really helpful article! These are great tips! 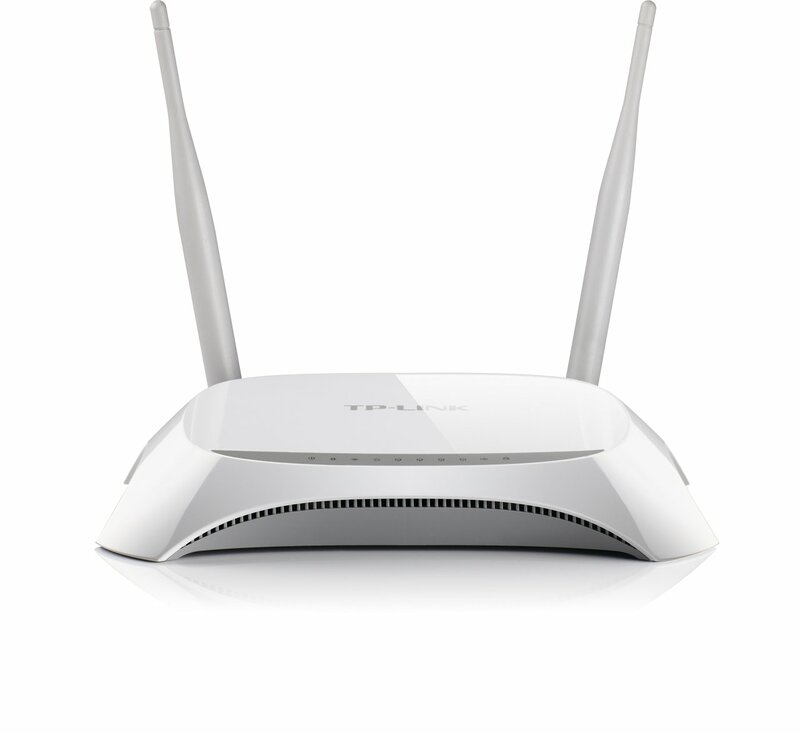 I’ve actually been thinking about getting a wifi range extender as well, but have read that you need access to the modem to make it work. Are you guys able to use your extender when you can’t actually get to the modem, like when you’re in a hotel? Or do you have to be able to push a button on the modem to connect with the extender?